Sliced up 6 1/2 pounds of venison backstrap, sealed in a Ziplock and in the fridge overnight with hickory jerky seasoning and cure. 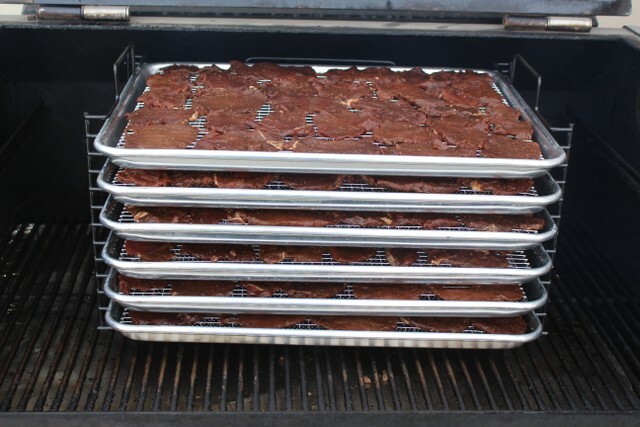 Here is the jerky getting some oak smoke with the grill running 150º. About 4 hours in a few slices were looking about right to take off and all were done a few hours later. Good god man have you no shame. 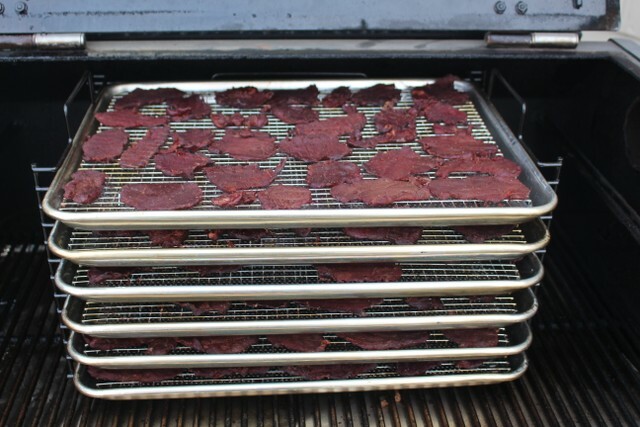 Backstraps are for steak, Shoulders and hind quarters are for jerky. All kidding aside that does look good. Enjoy. 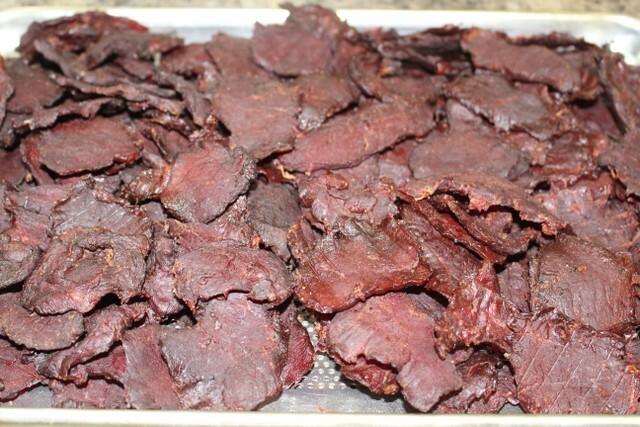 It was my wife's uncle's backstraps from an old buck, he was going to turn it into sausage and we told him nonsense, we will make you jerky with it! That was a good idea, MM! What's next on the menue? Not sure, but I come home from work and my wife has a ham on the grill! Sounds good! She must be quite a cook, too! A fine gal like that is worth more than her weight in fried squirrel!